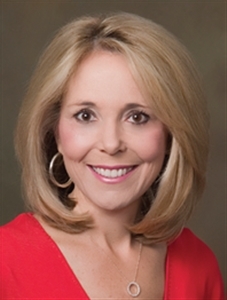 ENTERPRISE --When Becky Dotson takes over May 1 as chief executive officer and president of The Florida United Methodist Children’s Home, she’ll have her hands full leading a century-old organization that provides care and services to hundreds of Florida’s abused, abandoned or orphaned children. Despite the usual uncertainty of a new job and the stress of moving her 5-year-old son and household from Mississippi, she is not worried. 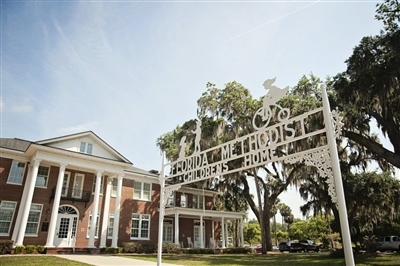 The main campus of the Florida United Methodist Children's Home is in Enterprise, near DeLand, but the organization has satellite offices and is building a second residential site near Tallahassee. Photo from the Florida United Methodist Children's Home. “This is what God has called me to do,” says Dotson, who knows what to expect. She has served a decade as CEO and president of United Methodist Ministry with Children and Families, which oversees the United Methodist Children's Homes of Mississippi. “I make it a point to get to know every child in our care," she says. "I know them by name. Her previous experience and her personal mission will come in handy at the Florida United Methodist Children’s Home, which was established in Enterprise in 1908 as an orphanage. During its 105-year history, the organization has grown through a merger and evolved as children’s needs and philosophies of care changed. Now that more children come to live at the home, not as orphans, but because of abuse, abandonment and family breakdown, the organization has expanded its mission and added services. Today, the Children’s Home includes residential care for more than 100 children, therapeutic group care, foster care, emergency shelter care, independent living assistance and a community child care center. The Children’s Home main campus remains in Enterprise, but construction is underway at a new campus in Pinetta. The extension, called Madison Youth Ranch, will include residential and therapeutic care and plans for equine-assisted therapy. Foster care services are available in Orange, Osceola, Seminole, Hillsborough, Flagler and Volusia counties. Dotson takes the helm from Mike Galloway, who is retiring as the organization's president and CEO. Galloway is credited with adding expanded residential care, family foster care and early childhood education services during his nearly seven-year tenure. “What we saw in Becky were many of the same qualities and skill sets that made Mike Galloway so effective and successful,” says Evans Hubbard of St. Luke's UMC, Orlando. Hubbard is the chairperson of the Florida Children’s Home Board of Trustees. He served on the committee that launched a months-long search for Galloway’s replacement and culled Dotson’s name from more than 100 applicants. Dotson stands out, he says, as someone who will strengthen the foundation while also forging new ground. “Throughout the process, we worked with an executive search firm to narrow down the list to eight candidates, then to four for committee interviews, and we invited candidates to spend a couple days on campus,” explains Hubbard. “We were very impressed with Becky’s interaction with our staff and her obvious affection for the children in our care and her commitment to helping them become successful in their lives. Already Dotson has begun familiarizing herself with her new responsibilities through daily online access and weekly calls with Hubbard. Along with a $13 million annual operating budget that is more than three times what she had to work with in Mississippi, Dotson is gearing up for the opening of the Madison Youth Ranch, expected in 2014, and learning more about plans to expand services into Palm Beach County. Rather than being daunting, the workload and mission inspires Dotson, who originally became an accountant on her father’s advice. “In 20 years of accounting, I did not have one inkling of a passion for a single tax return," Dotson says. "But working with children, I feel privileged and honored that God has given me the opportunity to see His hand at work every day.